The platform was brought to life with the help of fellow parent and impact investor, Alex André de la Porte and digital product and technology specialist, Stuart Waite and developed with the help of an international team of leading clinicians and experts. “We have spent over a year building the exact product Alex and I would have wanted when our children were diagnosed,” Ms Rogerson says. “I am really impressed with what I have seen of the Rockmelon app so far,” parent Mary Lishomwa says. Earlier this month Rockmelon announced the launch of its Parent Edition in New Zealand. “It is very exciting but that is only the beginning,” Ms Rogerson says. “We are launching in the UK in June and we are currently producing an American version which will launch shortly also. “A digital platform means we can deliver these tool globally quite easily, so later in the year, we will look at new markets in other languages. 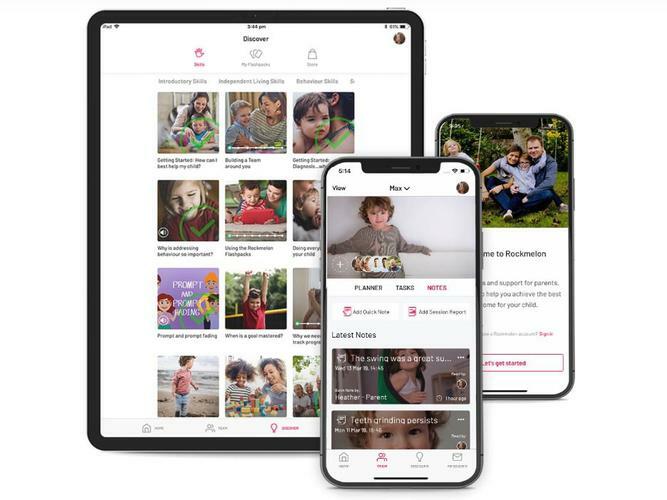 Rockmelon’s Parent Edition is available now in the Australian Apple App Store with US and UK versions will be launched in mid-2019. An Android version will launch in mid-2019. Additional versions in other languages scheduled for 2020.